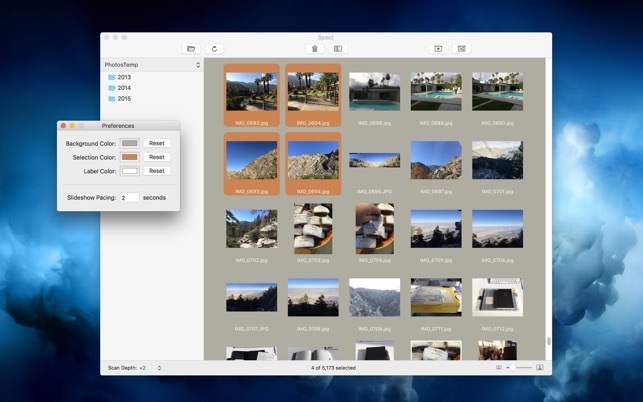 Spect is a very fast image browser and organizer for those folders full of miscellaneous images you keep on your Mac! • Quickly open folders containing thousands of images, even from a network drive. • Use your existing filesystem storage; no importing, no separate catalog or library files. • Browse just top-level folders, or deep scan into sub-folders. • Prune images you no longer want with marquee selection and delete. • Slideshow and shuffled slideshow. • Drag and drop images. 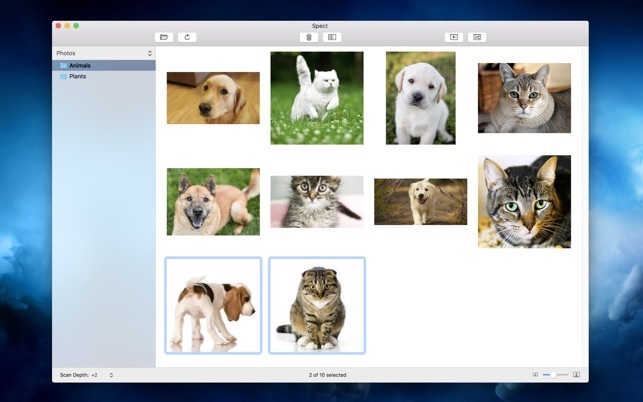 • A fast, native Mac app built with Cocoa technologies! Spect piqued my interest by offering simple browsing of macOS filesystem for images. That simplicity sells it for me. 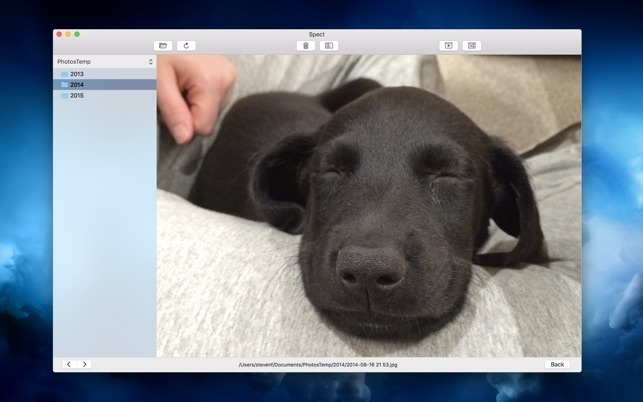 A few weeks prior to its release, I had wondered why Finder didn’t have its own slideshow without using Preview to display images. Imagine my surprise upon finding Spect just as easily lets you run a slideshow of browsed images! Start one any time. Yes, I saw it listed as a feature, paid that no mind, then realized its native glory during use. You do still have to use an app to do this, but you do not have to shift back and forth between apps (Finder browsing and Preview slideshow). They both happen inside Spect. Its main feature “Fast Image Browser” performs well. The first time you browse a folder with images in it, Spect replaces placeholder icons with previews of each image there as you watch. On my iMac Retina 5K (Late 2014), I see them load quickly, but not instantly (no preloading for instance). However, if I browse another folder of images then return to that previously browsed folder during the same session all of their previews load near instantly. 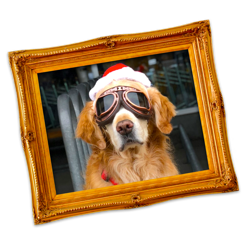 Once loaded, full view of last selected image using spacebar or double-click. I have already found Spect useful in browsing images with similar file names. Those image previews come in handy discrerning between them quickly. Adjust image preview size with standard slider on status bar, if default set too small. Since my bandwidth is not very fast, I don't add all my photos to Apple Photos when I import them to my Mac. I dump them into a folder, then look at them. Before Spect, I was using the arrow keys to move around and Quick Look to view images, but now, with Spect, I can easily go through even a large number of photos very quickly. This has made my photo workflow a lot simpler, and I can't imagine not using this. Also, the developer was very receptiive to my comments about some features the app was lacking, and I'm very please to see the changes made in version 1.1. Great work! 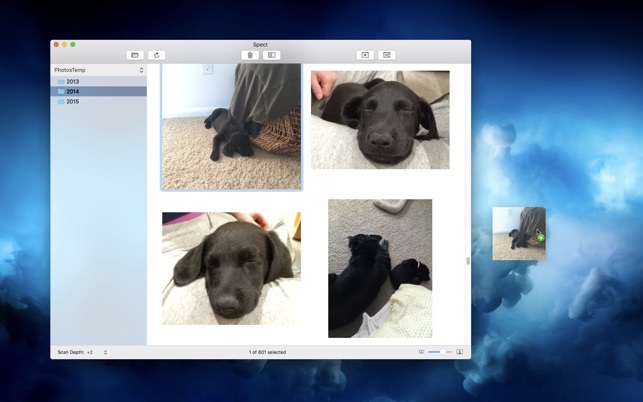 This is a simple and shockingly fast viewer for your folders full of photos. It can also show them as a slide show and move photos to the Trash. And that’s all it does: in the style of indie Mac apps, it’s extremely minimalist. I can see this being useful for pro photographers who need to triage a bunch of photos. But as a non-pro user, I want to use this app to organize a folder full of old photos. To do that I would want to see dates, image size, file type, and file size without having to reveal each image in the Finder.